It has been a long and tumultuous journey since my car accident back in September. I am so excited to finally be back on the road to blogging and have tons of trips, tips, cocktails, and yummy eats to share with you guys in the next few weeks. This past weekend we traipsed around the Alleghany Mountains of Virginia and will be sharing all about that trip soon. In the meantime, this was one of my favorite photos I captured, just as the sun was setting. 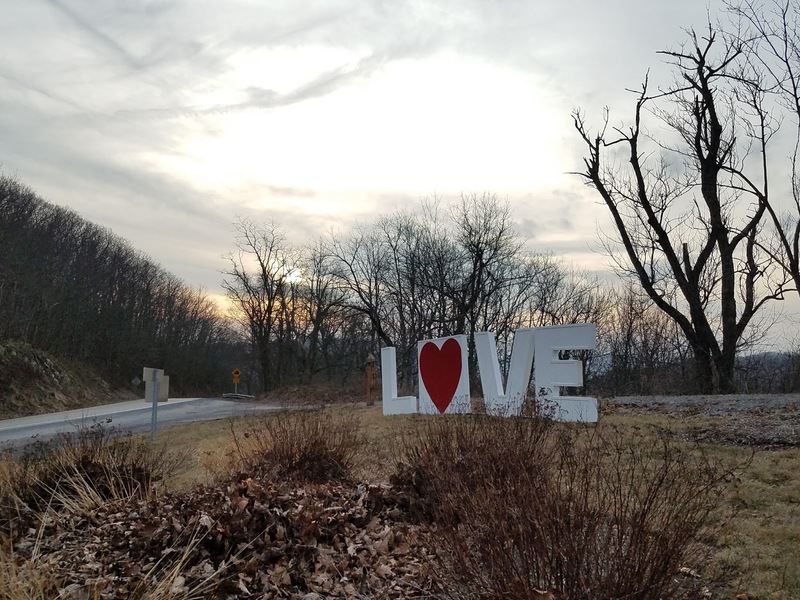 "Virginia is for lovers" has been the slogan in my home state for as long as I can remember and one of my favorite things they have around the state is the differing love signs. Hope everyone had a good day of "love" and a fabulous weekend!